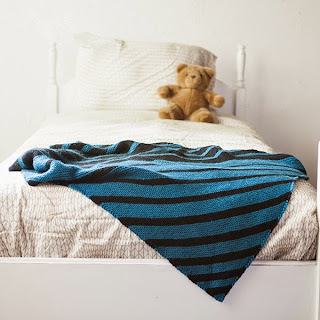 I made this awesome blanket pattern for Knit Picks with some lovely (and washable!) Brava Yarn. Best part? It's FREE! It's a great blanket if you're a newer knitter looking to tackle increases and decreases. It starts off with just a couple stitches and gets bigger towards the middle, then smaller as you finish. Photo courtesy of Knit Picks. Sorry to say that your link is not working. Whoops! Should be working now!